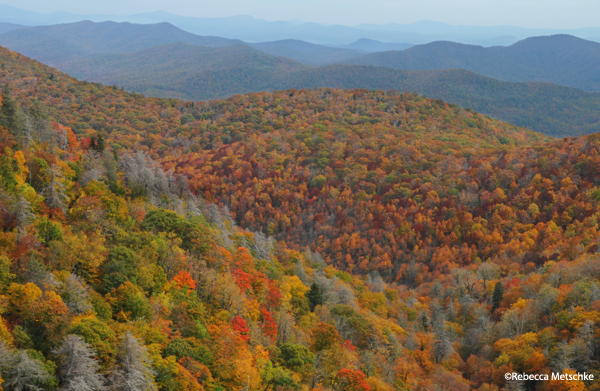 I was in the highlands of North Carolina last week on a shoot along the Blue Ridge Parkway. As the day was coming to a close Tuesday, I passed a young man perhaps in his mid-20s whose image has stayed with me. Having parked his car along the side of the road, he was sitting on the hood looking out into the hills painted with color. No BlackBerry. No distractions. No nothing. Just sitting there, alone with his thoughts and soaking in the beauty of the landscape. The lure of the computer screen and the smartphone are ubiquitous.